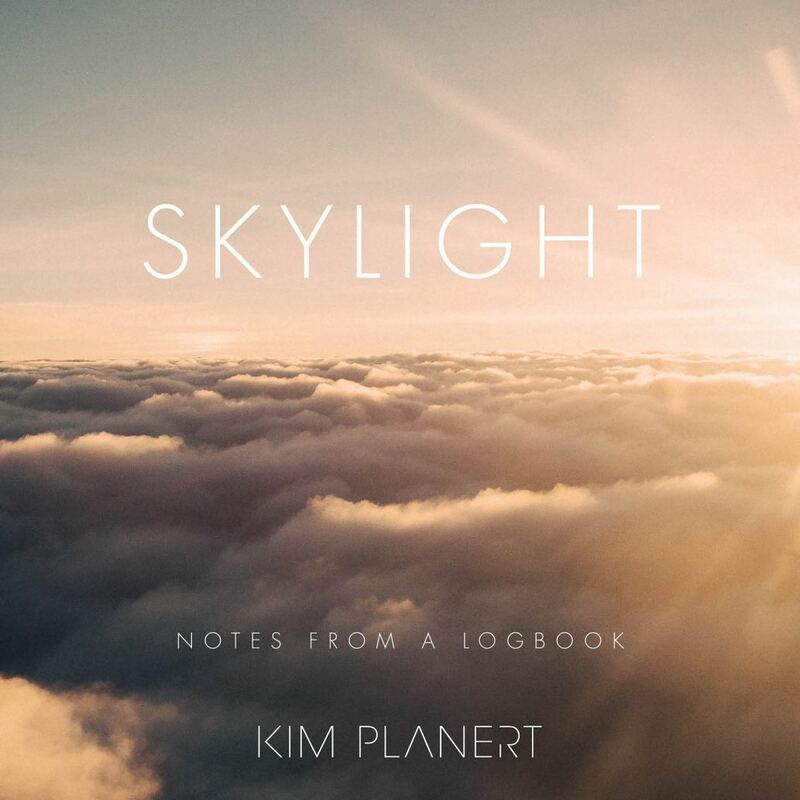 LOS ANGELES - March 5, 2019 - PRLog -- Award winning TV and Film composer, Kim Planert (Castle, Missing, Skid Row Marathon) releases his first solo album SKYLIGHT inspired by his love for wingsuiting and skydiving. An ambient, spiritual hybrid sound mixing orchestra with synthesizer, SKYLIGHT is melodic string lines reminiscent of Elgar with the minimalism and emotional depth of Craig Armstrong and Michael Nyman. Combined with the cutting edge synth programing of Daft Punk and epic synth pad's a la Vangelis, SKYLIGHT bridges the gap between song and film music. The first single 'Solace' streamed 38,000+ times on Spotify since November release. Kim fused the talents of artists from various musical genres, featuring vocals by Lisbeth Scott (Avatar, The Chronicles of Narnia, Concussion), Benoit Grey, electric bass cello (bassist for Ray Charles), Waterson (London based EDM artist), William Close, Earth Harp (America's Got Talent, Earth Harp Collective), Jörg Hüttner, additional synth programing (Dark Knight Rises, Fifty Shades of Grey, Independence Day) Kelci Hahn, soprano (LA Master Choral), woodwind master Chris Bleth, duduk (Transformers, John Carter, Life of Pi) and vocalist Keeley Bumford (Assassin's Creed). The performances are magnified against the powerful backdrop of live orchestra performed with the excellence of The Budapest Scoring Orchestra (Get Out, Okja, Good Kill). Additional featured musicians: Laura Ellis (vocals), Nikola Bedingfield (lyrics+background vocals), Mariann Pleszkan (solo cello), Janos Madaras (solo cello), Ian Forbes (guitar). SKYLIGHT embodies Kim's love for wingsuiting with the beauty and peril of flying through the air at 120+ mph at 13,000 feet. Kim has the rare combination of a skydiving film composer suffering the consequences when the boundaries of fear are pushed to the limit and life turns on its axis in a split second. With over 400 jumps to date, Kim's great passion for wingsuiting led him to the US National Championships and to Black Rock City wingsuiting over Burning Man. Kim had begun work on SKYLIGHT when he had a shocking accident shattering his leg in several places while flying over Panama in 2015. The trauma of the accident, three years of surgeries, rehabilitation, healing and reflection, along with Kim seeing a number of fellow jumpers badly injured and others losing their lives took the album's evolution to an entirely different perspective and depth of expression. Kim questioned the paradox of the sport, the risks and the need to be close to death to feel alive while touching the sky. LA based Kim Planert, originally from Siegen Germany, has composed music for 230+ episodes of prime-time television shows, feature films and part of the producing team on two indie features. Recently Kim associate produced and wrote the score for passion project Skid Row Marathon. An award winning, feature length documentary that follows the inspiring story of a Los Angeles judge who starts a running club on Skid Row, giving members a second chance at life as they battle addictions. Eight seasons on the score for ABC's television show, Castle, Timeless (NBC), Missing (ABC), The Whispers (ABC series produced by Steven Spielberg), The McKenna Files (Mark Gordon ABC pilot), The Unit (CBS), Lie To Me (FOX), The Gates (ABC), The Chicago Code (FOX), Last Resort (ABC), and Rush (USA Network). Into The Blue II: The Reef, A Reason and Chasing Grace. Prior to Los Angeles, Kim collaborated with several legendary music producers and musicians in the UK including Craig Armstrong, Capercaillie, Secret Garden, John McLaughlin (FIVE), BBC Scottish Symphony Orchestra and the Scottish Ensemble. As a UK sound engineer and producer he recorded and mixed more than 40 albums and soundtracks for several films including American Cousins, The Bone Collector, and the TV show Crowdie + Cream - won a BAFTA award for "Best Soundtrack" and "Best Theme". Kim received his masters from UNCSA School of the Arts and Bachelor of Recording Arts from the Southern Cross University of Australia. He studied under veteran composers; Emmy-award winner Hummie Mann, David McHugh (Mystic Pizza), Sir Prof. Clive Pascoe (student of Leonard Bernstein) and Jack Smalley (Charlie's Angels, The Last of the Mohicans).